11 times recipient of the PGA Player of the year, golfer Tiger Woods has won his fifth green jacket at The Masters held in Augusta, which is now referred to as arguably the greatest ever comeback in sport. Currently, 15-time major league champion participated at Augusta two years ago where he addressed that he was done with golf. However last year at The Masters, the former champion expressed his joy at just being present there. He had a successful PGA Tour win at the Tour Championship last year after recovering from fusion surgery, but this is his major achievement. The impossible and unexpected comeback has been made possible. The 43-year-old, whose last major win came at Torrey Pines in the 2008 US Open, wore the same turtleneck which he had worn at Augusta back in 2005. The former world champion suffered a major set back in his career following his divorce with ex-wife Elin Nordegren. The 18 time World Golf Champion, was then a target of the media after several women claimed that Tiger Woods was in a relationship with them while he was still engaged to his wife. This is a major turn of events for the golfer. 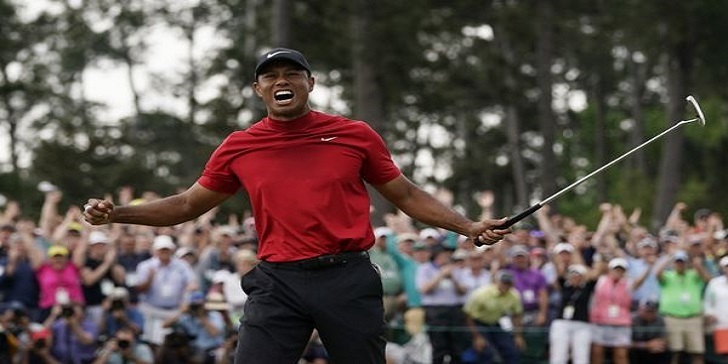 Many people have congratulated Tiger Woods on his victory including former US President Barack Obama and tennis player Serena Williams. For more updates stay tuned with frostsnow.